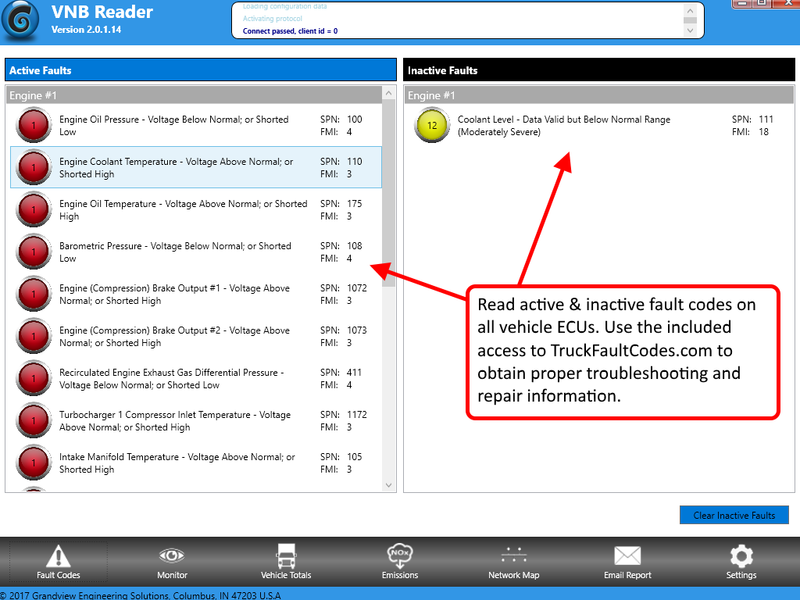 Read both active & inactive fault codes. 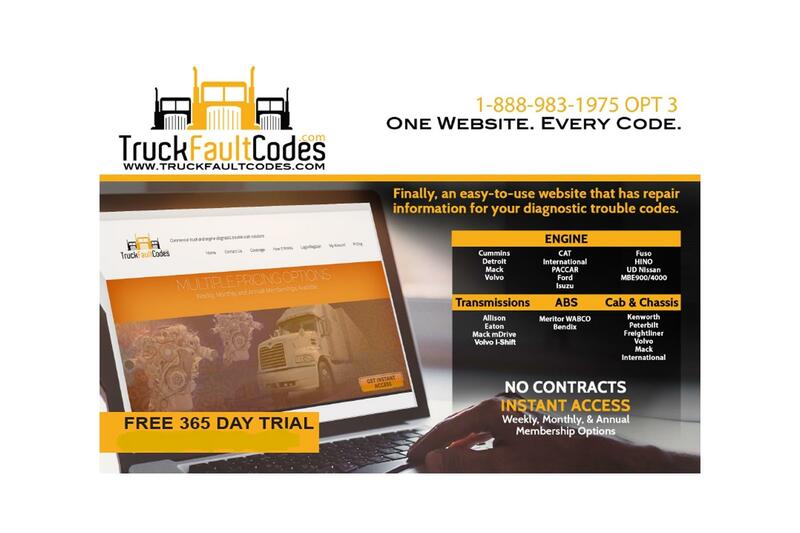 You can then use www.TruckFaultCodes.com to obtain repair information. 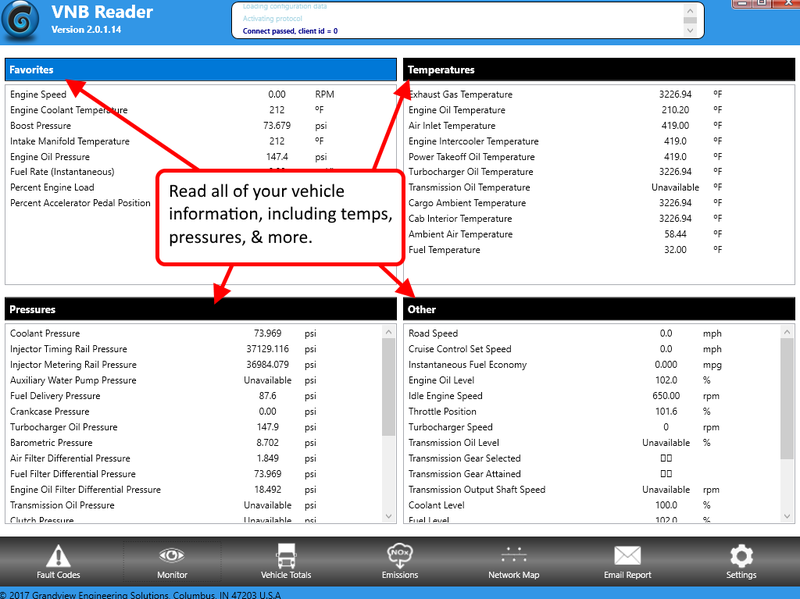 View live data in an easy to read format. 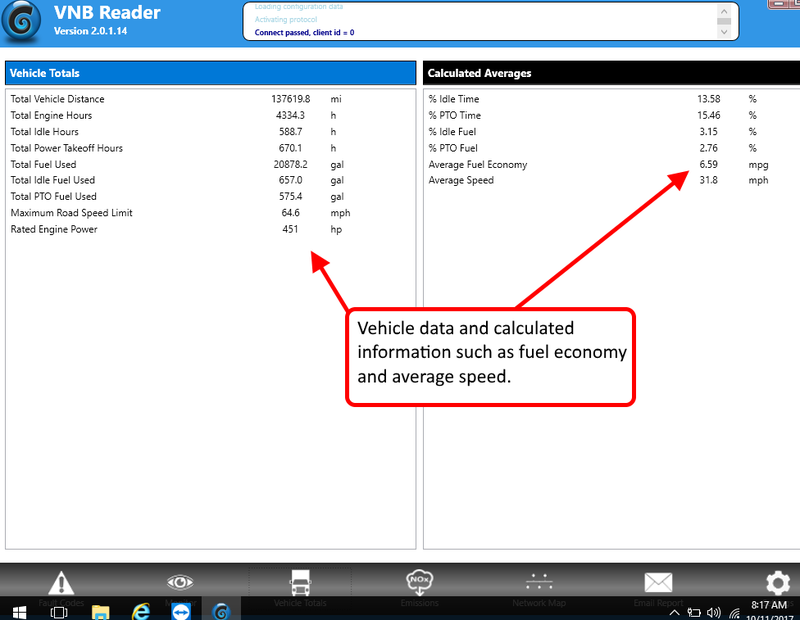 View vehicle totals and trip reports, including calculated averages such as fuel economy and speed. 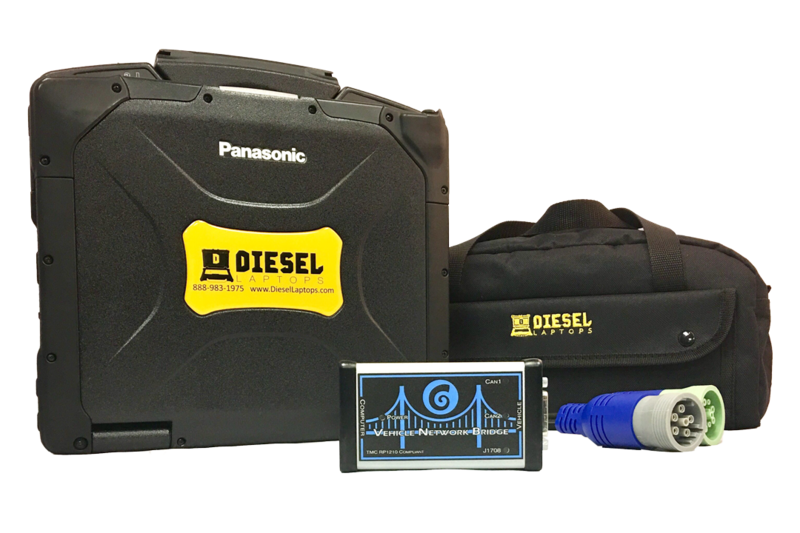 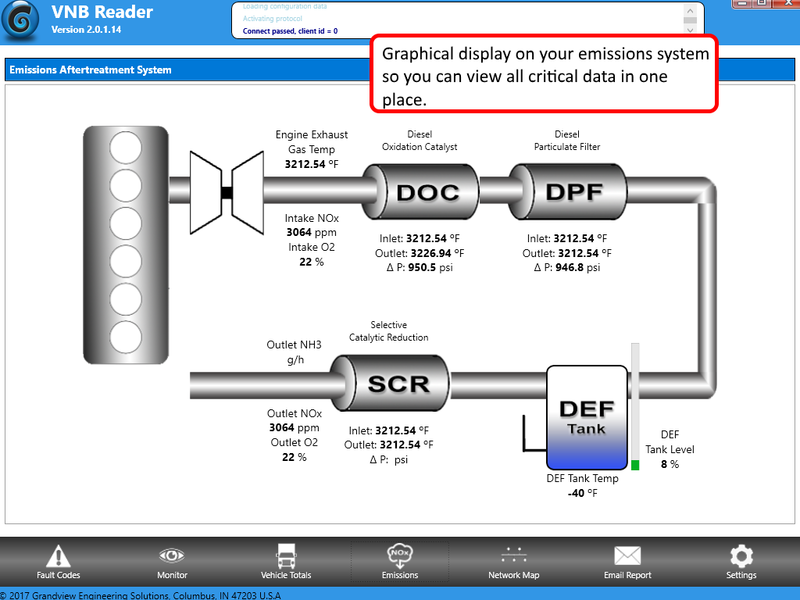 Easily see what your emission system is doing on one screen. 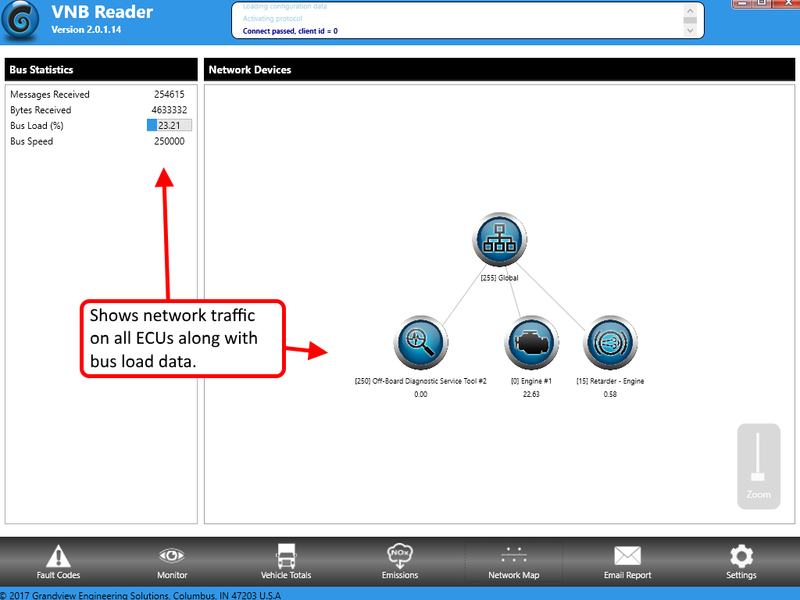 View vehicle network traffic components, including bus load and speed information.